AJWS New York is a hub for supporters throughout the Tri-State Area who want to build a better world. We come together for philanthropy, activism and community events to help end poverty and promote human rights in developing countries. Together, we’re bridging the gap between the world as it is and the world as it should be. As philanthropists, we support 450 grassroots organizations that use AJWS’s funding to effect change in their communities, their countries, and around the world. As activists, we think globally and act locally. Supporters of AJWS’s mission are working to stop violence against women, girls and LGBT people; enable indigenous communities to protect the land, water and natural resources they need to survive; and help vulnerable communities recover from civil wars and ethnic persecution. As a community, we come together to connect with like-minded people committed to global justice. We put our hearts, minds, resources, and influence together to bring about the change we want to see in the world. We are all united by a desire to put Jewish values into action to help mend our broken world. Read about the latest AJWS happenings in our city! 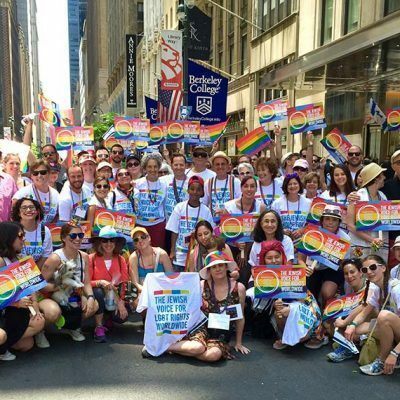 This past weekend, I marched with AJWS staff and supporters in New York City’s Pride Parade. It felt especially poignant to march together in the wake of the Orlando shooting; to show that love will triumph over hate. As we marched, I thought of fellow activists around the world who are risking their own lives for the dignity of LGBT people. Some of these activists are LGBT people themselves. Others are not. 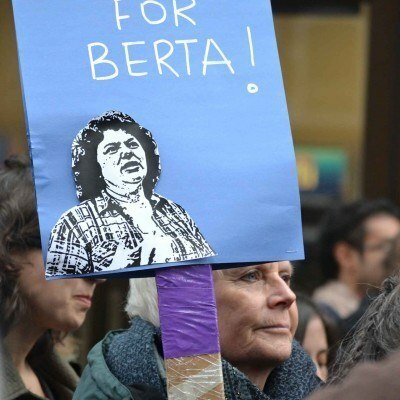 On March 3rd, unknown assailants murdered Berta Cáceres, a Honduran human rights defender and environmental activist who dedicated her life to protecting the land and human rights of indigenous people. Berta and the organization she founded and directed, AJWS grantee Consejo Cívico de Organizaciones Populares e Indigenas de Honduras (COPINH), had received violent threats in recent months because of its work to resist the construction of the Agua Zarca hydroelectric dam, which was threatening the survival of the indigenous Lenca people. 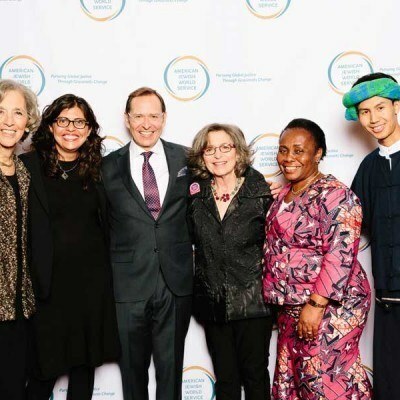 AJWS celebrates our 30th anniversary in New York City! Wow—what an unforgettable night! We’re still buzzing from our 30th anniversary gala at Pier Sixty in New York City last night. Hundreds of AJWS supporters came together to celebrate three decades of pursuing justice and equality for millions around the world—and we couldn’t have done it without our supporters. We wish a chag sameach to those who celebrate!